A Barbra Streisand impersonator, a Shakespearean legend, an Australian diva, a GFC Forum, the First Noosa Book Club, an award winning ventriloquist and an Australian exclusive film preview were just some of the 80-plus events that are part of the 11th Noosa Longweekend Festival program. 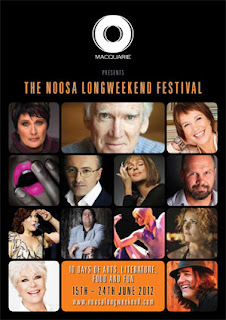 The festival will be staged from Friday 15 June to Sunday 24 June, 2012 at various venues throughout Noosa and the surrounding hinterland. Eleven Queensland premiere events will form part of the festival including opening night performance by Australian music diva, Debra Byrne with her new show Ripe; an exquisite contemporary dance performance produced especially for the Australian Ballet’s 50th Anniversary from Brisbane’s Expressions Dance Company; an absolutely amazing Barbra Streisand impersonator, Steven Brinberg with his show Simply Barbra direct from New York; and the very first Noosa Book Club with Jennifer Byrne, Marieke Hardy, Jason Steger, Charlotte Wood and Di Morrissey.